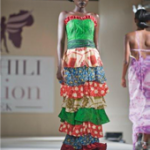 The Hub of Africa Fashion Week is slated to take place in Addis Ababa from September 23 to September 25, 2010. New York (Tadias) – The upcoming “Hub of Africa Fashion Week” to be held in Addis Ababa from September 23rd to September 25th will showcase the latest collections in clothing, footwear and accessories from emerging local designers hailing from six African countries, organizers said via email. The fashion week is being coordinated by Clairvoyant Marketing Agency and Yoha Entertainment. 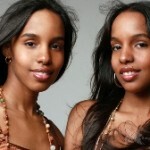 Born to Somali parents and raised in both their native country and Washington, D.C., identical twins Ayaan and Idyl Mohallim are owners of the brand Mataano (meaning “twins” in Somali). The company’s premier Spring 2009 collection launched in New York City on November 1, 2008, featuring a boutique preview of ten dresses, which garnered wide attention – including a highlight on Oprah Winfrey’s show. 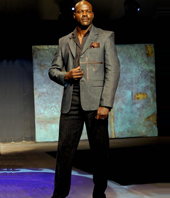 Kenyan Fashion designer John Kaveke studied fashion in Kenya and Spain. He worked as a designer for other fashion labels for four years before establishing his own clothing company called KAVEKE. 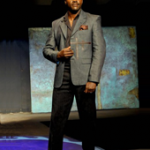 His style is contemporary and he uses leather, denim, linen and Maasai beads in his creations. His designs, which are for both genders, express boldness, vitality and individuality. Fusing her African heritage with her Western design sensibilities, Kahindo Mateene, the designer behind Modahnik, creates modern silhouettes that accentuate a woman’s curves and are visually appealing. The use of Hollandaise Wax, an African influenced colorful fabric, alongside silk satin is at the essence of Modahnik. Banuq’s collection is based on the concept of classic and timeless garments made to drape off the unique curves of each individual. Inspired by the lifestyles of travelers, explorers and people on-the-move, each garment demonstrates the designer’s relaxed yet tasteful approach to fashion. 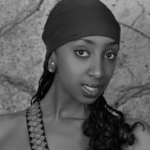 Mafi Habeshigna (Mahlet Afework) is a household name on the Ethiopian fashion scene. 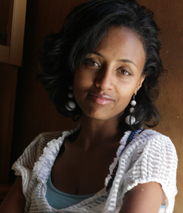 Mahlet was born and raised in Addis Ababa, Ethiopia. 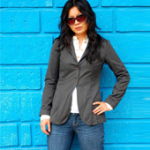 She started to design clothes in elementary school, where she famously redesigned her school uniform for her first fashion show. Her collections are eclectic styles of gilded glamour with cutting-edge look, feminine in flow and texture. 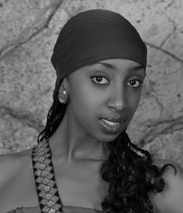 Sewasew Hailu has been in the fashion industry since 2004. 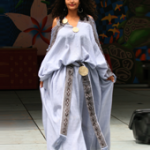 Her designs distinctively promote the Ethiopian culture. 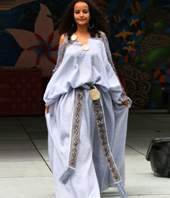 Sewasew’s works have been displayed in the “Out of Africa Festival” (an international cultural show in Houston, Texas), the “Pan African Cultural Festival” in Algeria, the “Ismir International Trade Fair” in Turkey, the “Ethiopian Cultural Festival” in Germany, and the “African Mosaique” in Ethiopia. 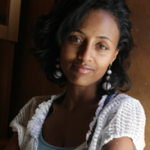 Fikirte Addis was Born on August 3, 1981, in Addis Ababa, Ethiopia. She has come a long way from her earlier profession working with children as a Psychologist, while simultaneously pursuing her passion for haute couture. Fikirte opened YeFikir Design in 2009. 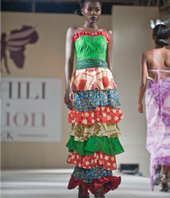 Her inspiration comes from the Ethiopian handmade fabrics. YeFikir focuses on traditional fitting for everyday modern life. The clothing line Mapozi utilizes Tanzanian local fabrics such as khanga, kitenge and Maasai blankets in a unique way through fusion of the western cut styles with the traditional African materials. Mapozi is the brainchild of Robi Morro. 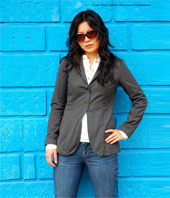 You can learn more about the event at www.thehubfashionweek.com. It was great going through the list; Send me more information. 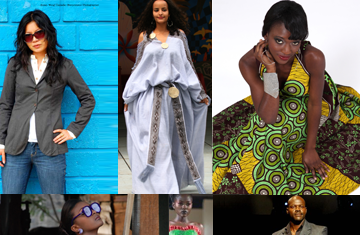 I am a U.S. based Ugandan designer currently residing in Nairobi, Kenya. I produce great clothes and accessories for women with African flavor. How can I participate in future “Hub of Africa Shows?” I think it is a great idea!!! Fab! The Mohallim sisters are my personal favorite. “Mataano” rocks!!! Thanks Linda. I should be passing through Addis during the time of the show. Hope to stop by and greet you all. You gals are launching a fabulous event! Nice to know… sounds very exciting. Wow I wish I could take part, keeping my fingers crossed. Keep UP the good work.